High-level railways are really nothing new. They existed in New York and Chicago as long ago as the late 19th century, originally powered by steam, later by electricity. Land Airbus in China could be a completely new generation of high-level rail transport: a raised track on which the supports move along too and traffic flows right underneath the rail tracks.Like subways, high-level rail lines have a big advantage: they can move without paying any heed to street congestion. However, both of these alternatives have hitherto involved a high level of effort and costs, as they require their own infrastructure. For a subway this is a network of tunnels with stations, while viaducts or supports are required for high-level lines. Although a high-level network is somewhat cheaper to build than a system of tunnels, it has a significant impact on the appearance of a city. Bus routes remain as a further alternative, but they need their own bus lanes in order to be able to operate in heavy traffic, and not every city has the option of widening roads to add a bus lane. 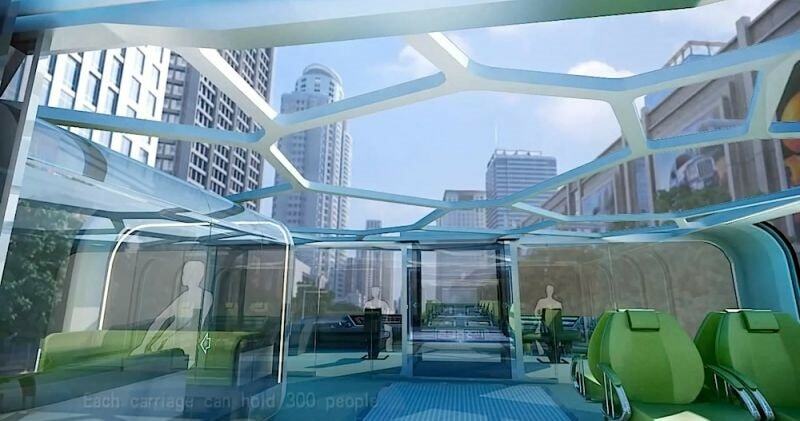 Land Airbus thus truly provides an attractive solution for Public Transport in urban areas with a shortage of space.Hardly any other system of mass transit can be integrated into existing traffic and the existing road infrastructure like Land Airbus in this vision. The building costs are stated to be significantly below those of a subway or a high-level railway. Its impact on the cityscape is also relatively small. So far the idea has not been approved for construction. It will therefore be interesting to see whether Land Airbus can usher in a new form of public transport in cities. Land Airbus can operate even when road traffic in the city is at a standstill. It has a capacity of 300 passengers. 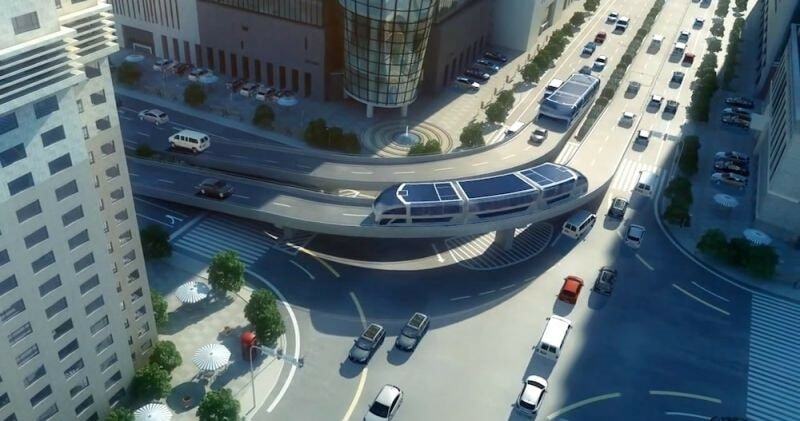 There is no need for an expensive viaduct structure; Land Airbus only needs tracks like a tram. Land Airbus is unaffected by traffic and it doesn’t add to traffic either. The passenger space in Airbus is almost completely surrounded by windows and provides unique views of the city. TBS China claims that if we compare Land Airbus to Metro, Land Airbus, in spite of having almost the same passenger capacity, would cost less and is much safer as well.